These fine feather earrings are expertly handcrafted from sterling silver by Harvey Chavez of the Kewa Pueblo tribe. The feathers are accented with tiny heishi beads cut from black jet. The earrings measure 4cm in overall length and come with two complimentary clear rubber clutches to ensure that you never inadvertently dislodge and lose your favourite feather earrings. These earrings are packaged in a smart presentation box. 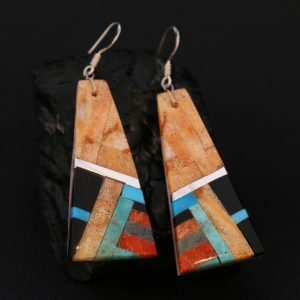 These fine feather earrings are expertly handcrafted from sterling silver by Harvey Chavez of the Kewa Pueblo tribe in northern New Mexico. The feathers are accented with tiny heishi beads cut from black jet. 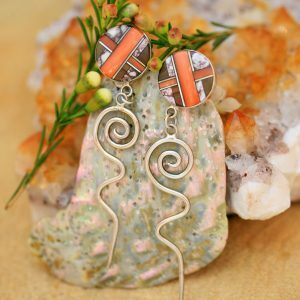 The earrings measure 4cm in overall length and come with two complimentary clear rubber clutches to ensure that you never inadvertently dislodge and lose your favourite feather earrings. These earrings are packaged in a smart presentation box. Harvey Chavez makes exquisite feather jewellery. 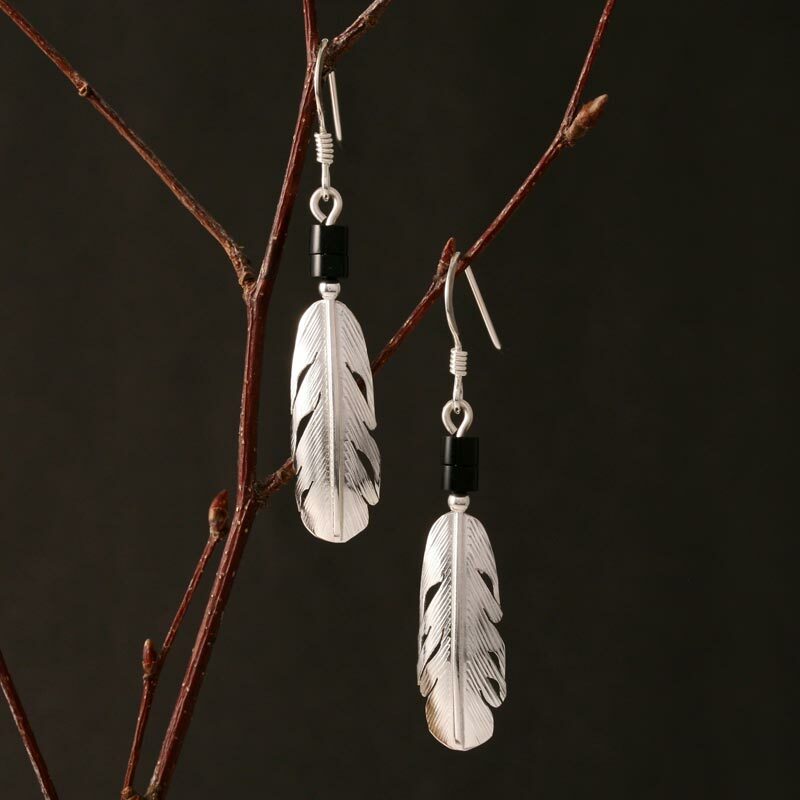 Each feather is skilfully formed from sterling silver, each unique in size, shape and detail. Every line is individually stamped using a homemade stamp and all are carefully shaped, polished and signed. Harvey Chavez also expertly handcrafts beads in the traditional way of his tribe. 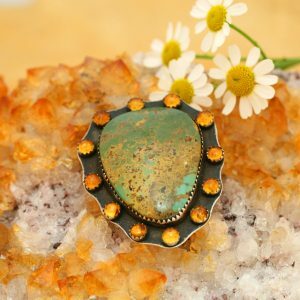 From tiny heishi beads to fine wafer cuts, every stone is individually cut, drilled and polished from natural materials.